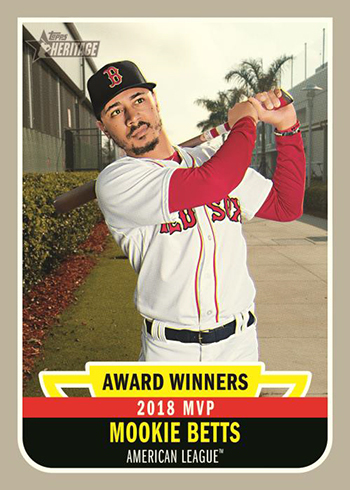 Complete your Topps Heritage set with the release of 2019 Topps Heritage High Number Baseball, with new cards featuring Rookie Call-Ups and Traded Veteran Players. 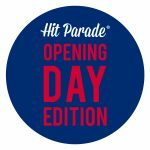 Highlights of this set include Real One Autographs, Clubhouse Collection Relics, “The Hammer’s Greatest Hits” Autographs, and 1970 Topps Poster Box Loaders! 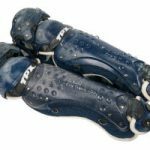 Each Hobby Box will guarantee 1 Autograph or Relic Card! 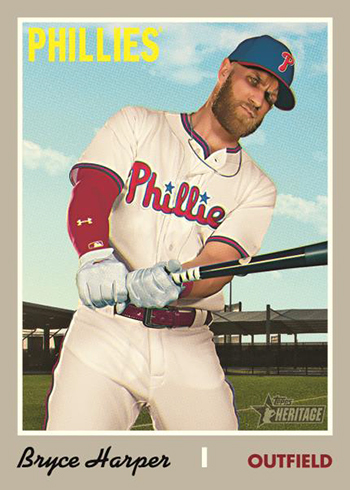 Collect the 200-Card Base Set consisting of Heritage cards # 501-725 and featuring veterans and rookies. 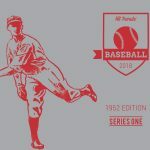 Find Base Card Variations, including Silver Metal, Error Short Prints, Trade Variations, Throwback Uniforms, Action Image Variations, and Team Name Color Variations. 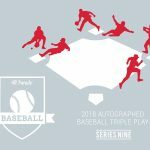 50 subjects from the Base Set will be showcased on Chrome technology. Base Card Chrome Parallels include Refractor (#’d to 570), Black Bordered (#’d to 70), Gold Bordered (#’d to 5), and SuperFractor Parallel (#’d 1-of-1). Heritage High Number will of course feature Real One Autographs. Look for Real One Special Edition signed in red ink and numbered to 70 or less. Also find Real One Dual Autographs signed On-Card and hand-numbered. Clubhouse Collection Autograph Relics feature uniform and bat relics signed on-card by active and retired players. These are hand-numbered to 25 or less, and also include an Autograph Patch Parallel numbered 1-of-1. 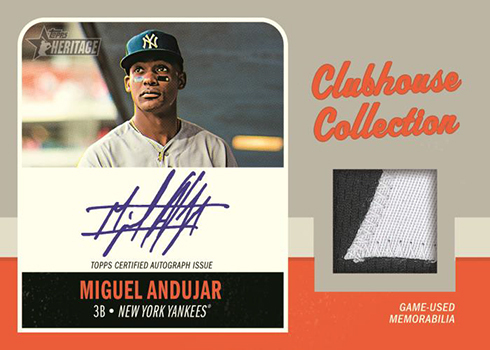 Look for Clubhouse Collection Dual Autograph Relics hand-numbered to 10 or less, also with an Autograph Patch Parallel numbered 1-of-1. Find Clubhouse Collection Relics, including Dual, Triple, and Quad. Look for 1-of-1 Patch Parallels of each. Look for 1970 Baseball and Celebrity Cut Signatures numbered 1-of-1. 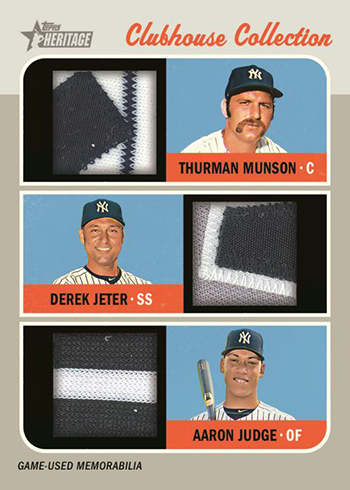 Collect a number of awesome Insert Cards, including Rookie Performers, Combo Cards, Now and Then, Award Winners, The Hammer’s Greatest Hits, and 1970 Topps Scratch Offs. 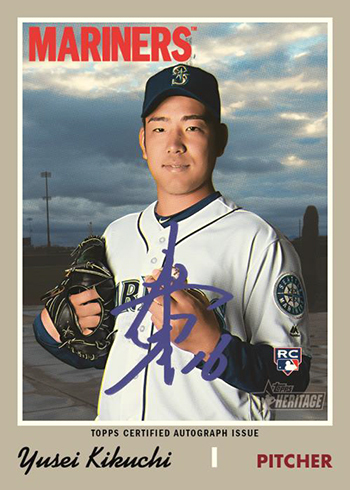 Every Hobby Box of Heritage High Number includes One Box Loader. 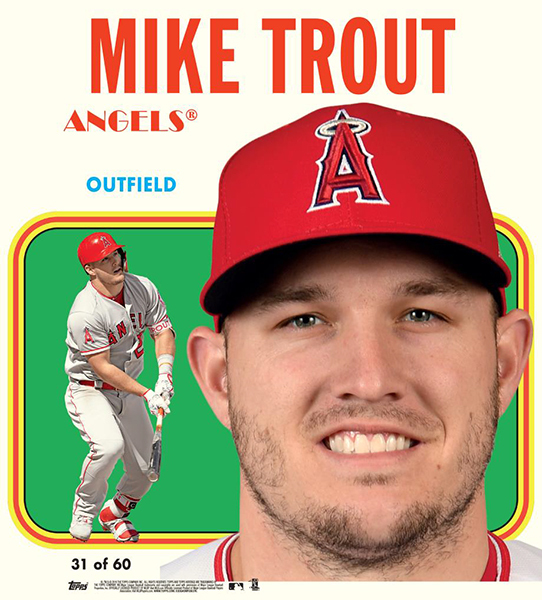 These Box Leaders are highlighted by three versions: 1970 Topps Super Baseball, 1970 Topps Poster (limited to 70), and 1970 Topps Originals (foil stamped). 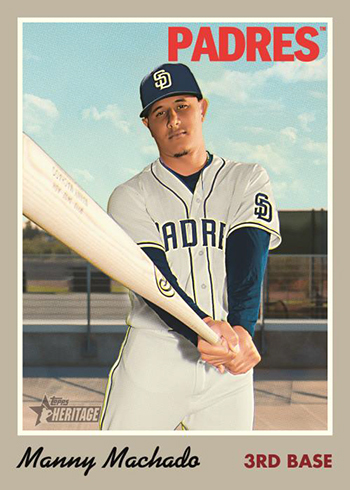 2019 Topps Heritage High Number Baseball is scheduled to release in August. Preorder now and lock in on your box or case!